34 years, 3 months, 27 days old age. Jackky Bhagnani will turn 35 on 25 December, 2019. Only 8 months, 3 days, 11 hours, 57 minutes has left for his next birthday. Jackky Bhagnani has celebrated the total number of 34 birthdays till date. See the analysis by days count and bar graph. Jackky Bhagnani was born on 25-12-1984 in Kolkata in the state of West Bengal, India. He is an Indian actor working in Hindi Film Industry. Jackky Bhagnani did his studies from Welham Boys School and also from St.Teresa's High School. He did his graduation in Commerce from Mumbai H.R. College of Commerce and Economics. He did enrol in Lee Strasberg Theatre and the Film Institute for acting course in New York. He made his acting debut from the 2009-released movie Kal Kissne Dekha, but the film was completely failed at the box office and received so many unusual reviews about the film. Although, Jackky's acting was much liked by the audience and due to the reason he won the Star Debut of the Year – Male award at 2010 IIFA Awards and also became the winner of Apsara Awards. In the meantime, he was cast in the next movie project F.A.L.T.U. On Apr 2011, but in the matter of fact, the film could do a moderate business at the box office. However, he won the Superstar of Tomorrow - Male awards at the Star Guild Awards. His films could not create magic at the box office and could not impress the film critics. On the other hand, he had created some magic through his acting and screen-managing skills allow fans to be engaged. In the subsequent time, he appeared in some of the Bollywood films such as Ajab Gazabb Love, Rangrezz, Youngistaan and Welcome 2 Karachi as a leading actor of the films. All of these films were in cold boot means was a commercial failure. In the year 2016, he decided to produce a film and with this zeal, he started working on a film named after Sarabjit in the company of his sister. He luck made his support and the movie ran well at the box office means a successful film in term of earning as well as critics. In the year 2017, he produced a short film "Carbon" released on the top video sharing platform Youtube. In 2018 he is waiting for his Tamil debut film Mohini. And his another Bollywood film will release in 2018, will be Mitron and for that film, he received the positive reviews from critics by seeing the trailer of the film. 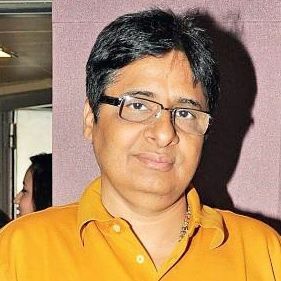 His father Vashu Bhagnani is a filmmaker of Bollywood films. In 2012, he received the Star Guild Award for the film F.A.L.T.U under the category of Superstar Of Tomorrow - Male. His first film as a producer was Sarabjit released in 2016, this film was a commercially hit at the box office. He did his acting course from New York's top acting institute Lee Strasberg Theatre and the Film Institute. His notable work in Bollywood are Mitron, Kal Kissne Dekha, Carbon and Sarbjit.